Next week at Chapel Performance Space Akio Suzuki and Aki Onda return to the west coast with "Ke i te Ki" after 2012's extended Issue Project Room residency and Voices & Echoes tour. Though of two different generations they share a deep interest in the documenting of sonic environments and the exploration of site-specific happenings. As an early sound-art pioneer in the 1960's, Akio Suzuki on recordings like "Na-Gi" has documented his investigations into the sonic character of select locations and generating responses engaging with their acoustic topography. His ongoing work in field recordings and acoustic observation continues into the present day with the soundwalk project, "Oto-date" translating as "sound-point" in Japanese, in drawing a course through the urban scape, Suzuki defines listening locations in the city and invites audiences to stop and observe carefully at given points on the map. Having created numerous soundwalks at various festival, public garden and gallery settings across the world including the UK's cutting-edge AV Festival, this year's Borderline Festival in Greece and the School of Creative Media, Hong Kong. 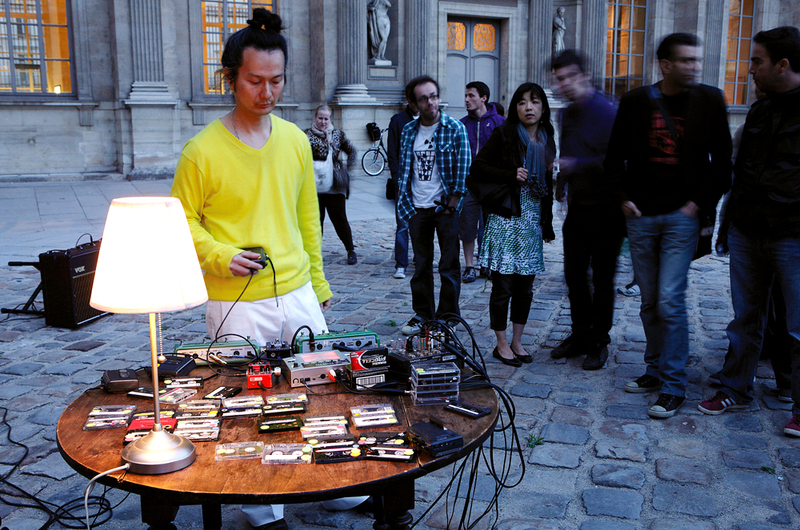 It's in these site-specific works that his sonic explorations overlap most-explicitly with that of electronic composer and visual artist Aki Onda. The decades-spanning "Cassette Memories" project and ongoing multiple volume series compiled from a “sound diary” of field-recordings and travels collected and assembled in live performance by Onda in both indoor and outdoor locations across the world. His extensive touring of the project, building it's body of sonic materials and locations as a essayist work in-action was documented last year by Michael Snow in the pages of Bomb Magazine; "On a trip to Morocco in 1988, Onda started using a Sony Walkman to collect sounds. Without having a specific purpose in mind, he simply desired to have recordings of environmental noises that he found interesting. In the next decades, as his bank of sounds enlarged, he began to find ways to use his collection in real-time performances. Cassette Memories became the evocative title of this ongoing project in which these memories become the building blocks of a concrete musical entity. That he personally recorded the sounds gives his mechanically produced palette an idiosyncratic aspect. The sounds are not pictorial or representational, but they are not abstract or pure either." Update: Due to Visa delays and typhoon conditions in Japan, the Seattle date in this tour has been cancelled.